from being something that is nearly all in front of you to something that happened. I had a funky night. Two hours of deep sleep followed by way too many hours of none. I turned on the light, read. Gave up, laid back in darkness for what seemed forever. And somehow, 8am, hours after I usually rise, a dream rattling my brain that made me realize something’s changed inside me. I could think dark of the moon, feng shui flying stars migrating to new yearly homes. It’d make sense. We’re tied to the cosmos and energies we can’t see. Folks have tracked it for eons before I got here. And it made sense when I thought of the inexplicable pains in my body, growing pains called energetic by my bodyworker. The hard part is how vulnerable and unsure I can feel. The good part is mystics mapped this long ago. The thing is, I know my gifts and purpose. I know giving up is not an option. I don’t want to. Magic happens. So, I said, Yes. . .and asked to live with a rhythm that feels good. In answer, an article crossed my desk, written April 14, 2018. “Life is a Found Poem.” Gosh, I write and teach this, I thought. I live this. It’s my writing practice. And yet, something was different. I went to the farmers’ market for the first time in 2 months. A fraction of the usual vendors display in the market’s warehouse winter home. Still, it’s full, bustling, and many of my favs are open for business. I came home with one onion, and a bag full of bread, my all-time comfort food. A smallish boule with African nigella black seeds & turmeric, chewy and deeply crusty. Two large soft flat-breads, fresh chopped mushrooms folded in and on top, deeply savory. A whole grain raisin bread, moist with body and a tinge of sweetest to the loaf so delicious I cut the small boule in two, froze half so I wouldn’t eat it all. And for dessert – something I rarely do since my involuntary abstinence while in Africa this past December – a thick slice of pumpkin roulade cake with sweet-tart creme cheese frosting rolled in. All so beautiful, I thought Bread is a poem. I lingered in my car before pulling away. Four or five mountain bluebirds hopped about my moonscape front yard. Shots of blue amongst the brown & gray of dirt and winter grasses. A few more flew in. They always seem to fly in tiny flocks. I didn’t want to leave. I was reminded of the time I lived in the middle of 500 undeveloped acres of NM desert. How they came down from the mountains in winter, lined the wide bowl of the watering station I’d set in the middle of our tiny yard. A ring of blue with russet chests. And I thought of the bluebird house we planted 10 ft. from our picture window in Asheville, NC. . . smack in the middle of a mountain neighborhood. I’d read they wanted it south facing with a long unobstructed path in/out, and knew I could give it. For 8 yrs. a pair hatched two-three broods each season. I say ‘a’ pair, because each year I’d see the male on the same branch overhead in an oak watching out for his family. And I would often find him on the ledge of the large window or the curved handle of the storm door looking in. No logical reason can change my mind he was watching for me, because I know he knew me, and knew I loved them. A friend says mountain bluebirds remind her of Disney movie birds, the kind in Snow White or Sleeping Beauty or Bambi before the fire. They’re so cute they don’t look quite real, she says. I feel the same way. The ones in the east are simply pure vivid blue. Perhaps that’s why my first thought whenever I see them is ‘bluebird of happiness.’ Not for the song, but because of the feeling. Like a flash-blessing flitting by, or looking in from my windowsill. Bluebirds are a poem. “Poetry is the use of words where music is heard but none is playing. . . Finally, on Super Bowl Sunday I discovered life thru another’s found poems, and I realized it’s not the first time I’ve done that. On intuition, I rushed to a bookstore for a memorial reading of poems by Tony Hoagland. Nineteen poems chosen and read by people he touched in some way. The intro by his close friend, author Robert Wilder, made me wish I’d known Tony. The poems, everything from borderline bawdy to the spiritually profound, made me feel as if I did in a way. All were about being human in this extraordinary experience on earth, the beauty and the ugly of it. As he neared death, he wrote what he feared most about losing of himself. . .”the loss of curiosity, the falling away of engagement…curiosity, the most essential feature of being alive.” Those words. Truth. I write often about that, too. So I say, be curious. Let life, the sky, the niggling inside you be your found poems. We can all be poets. Getting to Wise. A Writer’s Life. My poem found in the bones on the African savannah will be published next month in The Wayfarer Literary Journal. It’s a beautiful journal. I’ll keep you posted. Are you ready for your Fierce Hearted writing? CLICK HERE. 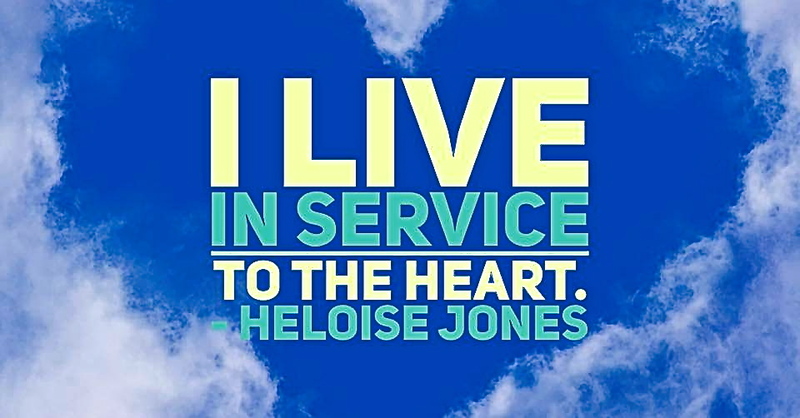 This entry was posted in life, poetry, spirit, writing by Heloise Jones. Bookmark the permalink. Found poems. They’ve been inspirational for me too. I think finding them a God thing. Me, too, Laurel. Something Divine & magical. I’m always amazed and grateful I could see it. Found poems. They’ve been inspirational for me too.